After just one bite of Chef Chris Neff's bourbon brined pork belly, several years ago at Cooks & Corks, I knew immediately that I wanted to try more of his cooking. As it turned out, it wasn't until this past Saturday night that I was able to make that happen. Chef Neff currently leads the kitchen at Lincoln Restaurant at the JW Marriott Scottsdale Camelback Inn, a unique space with breathtaking views of Camelback Mountain. 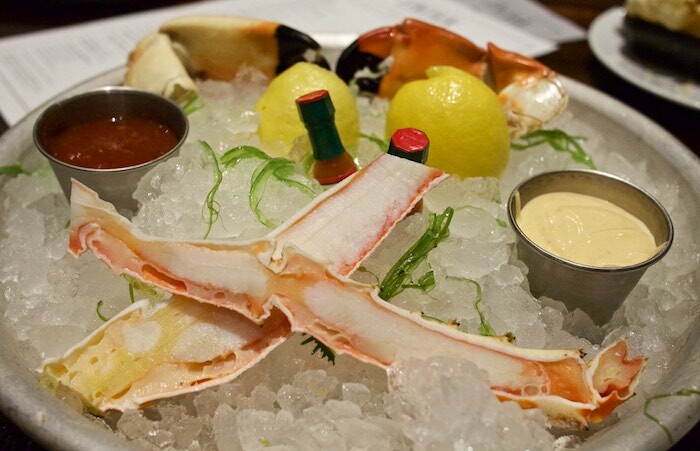 Specializing in both seafood and beef the menu is a creative mix of steakhouse fare. I love that they feature a seafood tower and that you can order as much or as little of it as you want. I'm a huge crab fan so I was able to get a tailored crab plate. 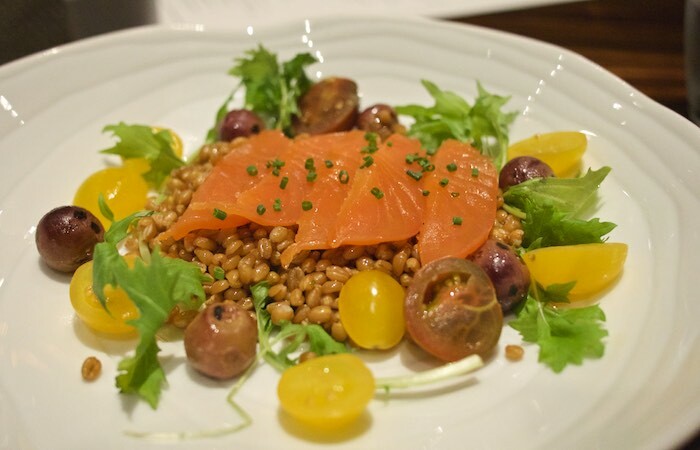 We started our meal with the Lincoln Chopped Salad, a delicious mix of smoked salmon, Mizuna greens, and local Hayden Mills wheat berries, lightly dressed in a buttermilk. Chef sent out an order of his signature fried cauliflower for us to try and I'm so glad he did. Served with a smoked yogurt sauce and pickled vegetables this appetizer should not be passed over. More often than not I will order a seafood entree and that is exactly what I did at Lincoln. 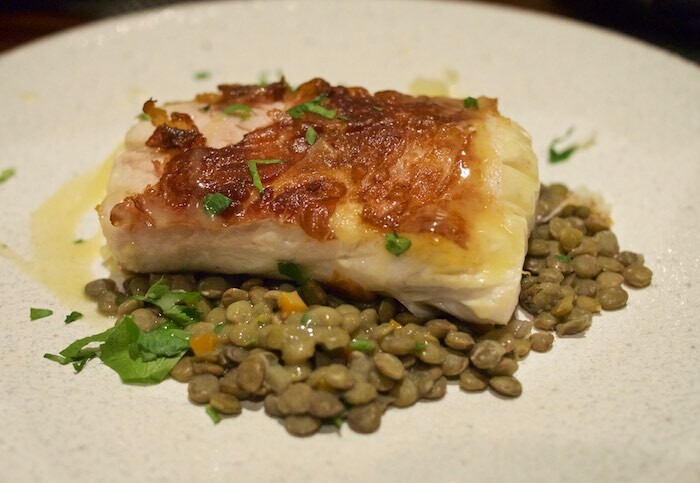 The bacon wrapped sea-bass with lentils tasted as spectacular as it sounds. The snow white fish was tender and moist with a hint of sweetness from the orange dressing. 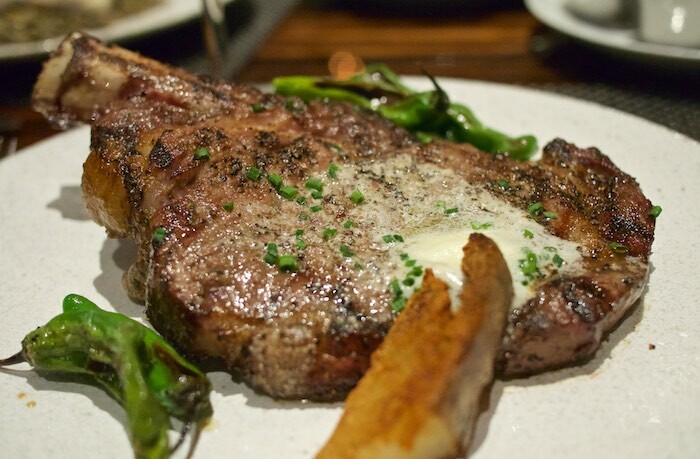 The real star of our meal was the 16 ounce bone-in, 30 day, dry-aged rib-eye. Chef Neff cooks some of the best quality meats and finishes them with a dollap of Lincoln Steakhouse butter and hickory smoked sea salt. Sides are served a la carte and include: various potato and vegetable options. 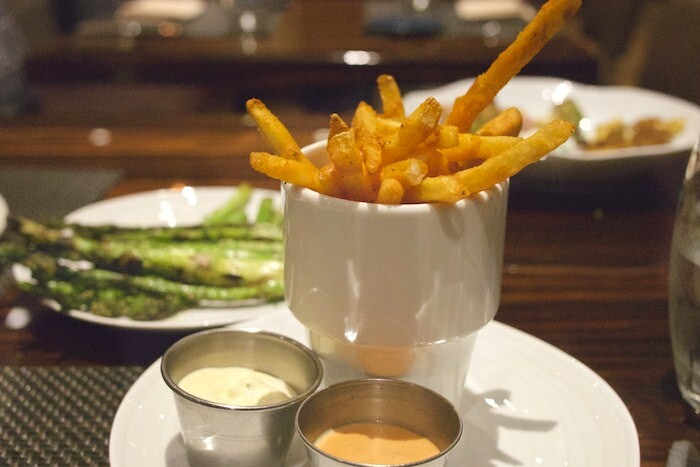 We decided to try the fries which were served with chipolte aioli & horseradish chive dip. And an order of the asparagus coated in olive oil and sea salt. 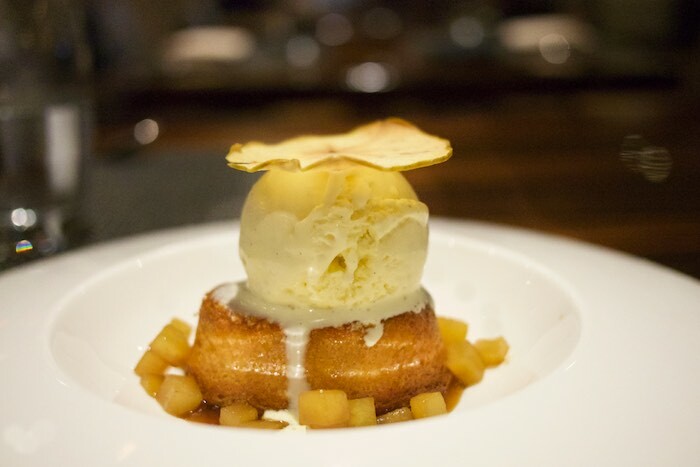 For a true indulgence, and an utterly delicious way to end a meal, I would recommend the warm butter cake topped with vanilla bean ice cream and whiskey sauce. It is amazing. 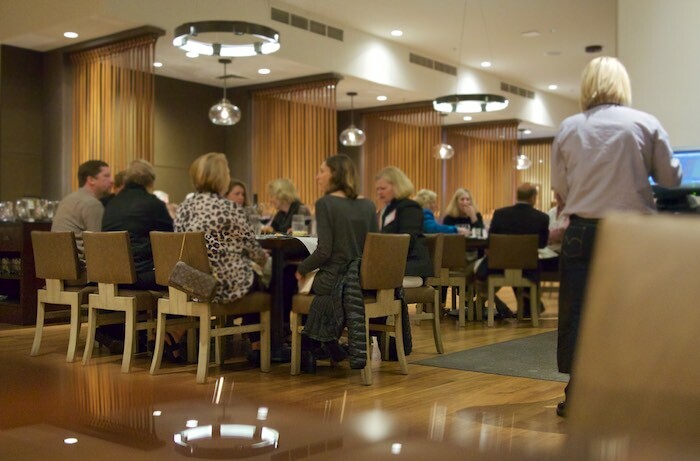 If you are seeking a fine dining experience in Scottsdale and enjoy quality steak & seafood, dinner at Lincoln is a delicious option. So much deliciousness!! Am drooling at that salmon salad. I'm loving that fried cauli and all the seafood!!! YUMMMM. Every course sounds incredible! I can see why you wanted to try more from this chef. That looks like a great restaurant and I love the emphasis on local ingredients! What an incredible looking meal! Thank you for sharing! What a fantastic restaurant! That ribeye and the whiskey cake look amazing!